China has spent years hunting Liu Changming, a renegade official accused of bank fraud. When his estranged wife, son, and daughter visited China this June, Chinese officials refused to let them leave, The New York Times reported. The wife was detained at secret site, and the children remain in China and aren’t able to leave. They are all US citizens. 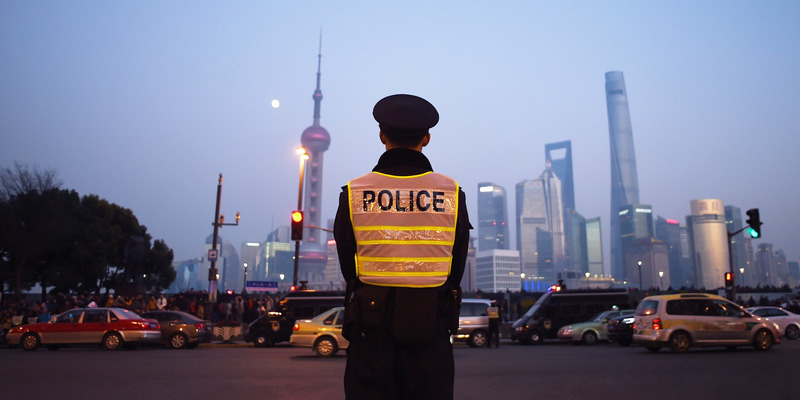 Imposing exit bans – or forbidding travellers from leaving the country – is common practice in China. China is holding a renegade official’s estranged family hostage to pressure him to return to the country, The New York Times reported. Beijing placed exit bans on the wife, son, and daughter of Liu Changming, a former executive of a state-owned bank in Guangzhou, when they visited their mother’s ailing father in southern China this June, the Times said. The ban stops them from leaving the country. Although the children are seemingly able to travel and act freely within China, they are effectively hostages of the state, prohibited from going home. The wife, Sandra Han, and children – Victor and Cynthia Liu, who are 19 and 27 – are all American citizens, and entered China with their US passports. Victor was due to be a sophomore at Georgetown University, while his sister Cynthia works at McKinsey & Company in New York. Liu Changming is accused of being part of a $US1.4 billion fraud case, and officials in Beijing are trying to get him back to face criminal charges. He fled China in 2007, when officials started investigating the suspects in the case. His children said he severed ties with the family in 2012. His whereabouts are not known. China listed him on its 100 most-wanted fugitives list in 2015, and Interpol issued an international arrest warrant for his arrest, the Times reported. Han, the wife, was detained at a secret site days after their arrival in June, the Times reported. It said the children were forbidden to leave China when they arrived at the airport at the end of their trip. Police told the children that they were neither being investigated nor charged with a crime, the Times said, but still could not go. Exit bans – the practice of forbidding travellers from leaving the country – are not uncommon in China. The country’s officials have imposed them on US citizens in the past to compel family members or colleagues to cooperate, the US State Department said in a travel advisory. Wang Zhao/AFP/Getty ImagesChina is no stranger to punishing the family members of its critics. 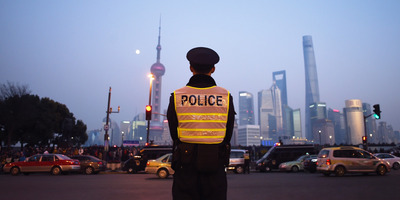 A police officer in Shanghai in 2015. China is no stranger to punishing the family members of critics to pressure them into complying to the country’s will. It placed the wife of Liu Xiaobo, a human rights activist, under house arrest with 24-hour surveillance for eight years, even though she hadn’t done anything wrong. In 2016, officials also forbade family members of Chinese-Canadian actress Anastasia Lin, who has publicly criticised China’s human rights record, from leaving the country. US Secretary of State Mike Pompeo mentioned the Liu family’s plight in a meeting with a senior foreign policy official in Washington, DC, last month. The family and their associates hope that President Donald Trump will raise the issue when he meets his Chinese counterpart, Xi Jinping, at the G20 summit in Argentina later this week.